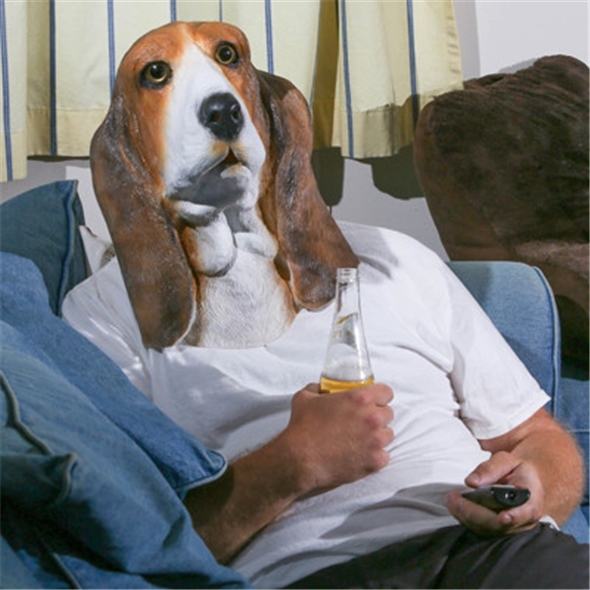 If you want an easy fancy dress costume then our Basset Hound Mask is the one for you. 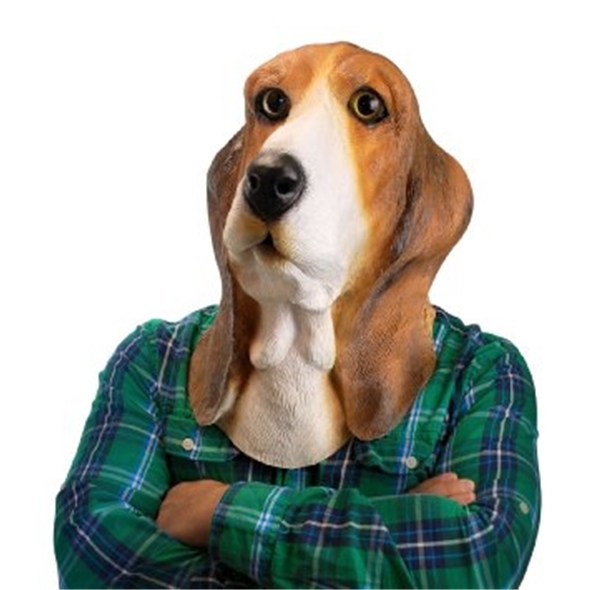 This frighteningly lifelike dog mask is an awesome costume - simply pop it on and transform into a remarkably realistic human-sized dog. We all know what it's like - you're being dragged to a fancy dress party and you quite literally cannot be bothered. The solution? This part hideous/part awesome Bowser basset hound dog mask. It's remarkably lifelike, or doglike as is perhaps the case and is generally pretty freaky when you pop it on - yet another reason why it's such a good costume idea. All you need is this epic dog mask, pop it on over whatever you're wearing et voila - you have an instant fancy dress costume! Alternatively, you can use this mask to terrify any unsuspecting victims in a number of hilarious scenarios. Basically, our Buster basset hound mask is funny in any situation, and that's a damned good reason why you should pop it in your basket.